Olsen J.V., et al. (2010) Sci. Signal. 3:RA3-RA3.Bi W., et al. (2002) Genome Res. 12:713-728. 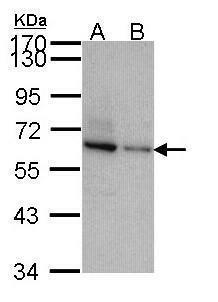 TOM1L2 polyclonal antibody ( Cat # PAB6707 ) ( 0.03 µg/ml ) staining of A-431 lysate ( 35 µg protein in RIPA buffer ) . Primary incubation was 1 hour. Detected by chemiluminescence. 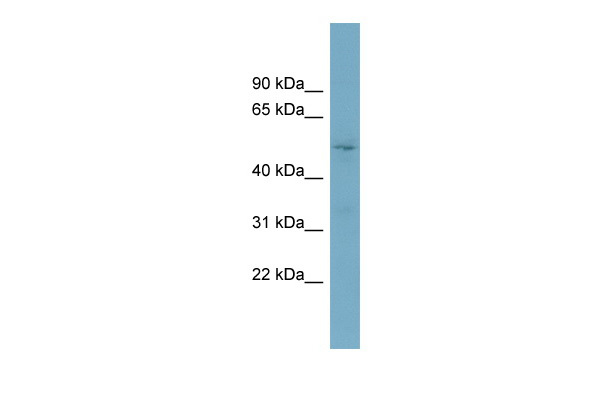 Western Blot analysis of TOM1L2 expression in transfected 293T cell line (H00146691-T01) by TOM1L2 MaxPab polyclonal antibody.Lane 1: TOM1L2 transfected lysate(50.27 KDa).Lane 2: Non-transfected lysate. 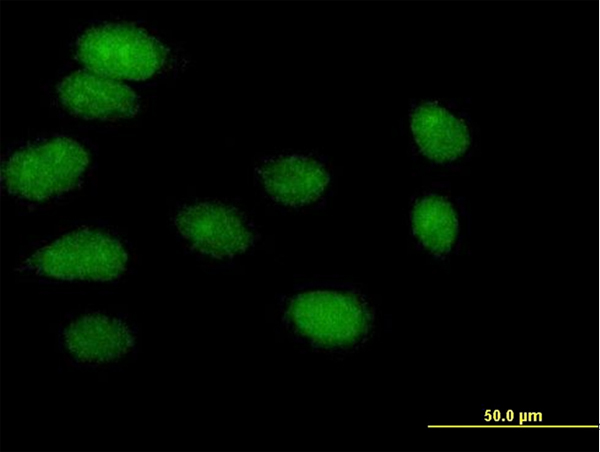 TA302974 (0.03µg/ml) staining of A431 lysate (35µg protein in RIPA buffer). Primary incubation was 1 hour. Detected by chemiluminescence. 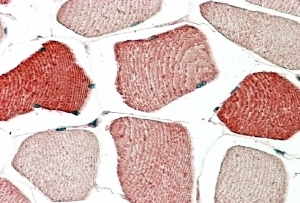 TA302974 (5ug/ml) staining of paraffin embedded Human Skeletal Muscle. Steamed antigen retrieval with citrate buffer pH 6, AP-staining. Sample (30 ug of whole cell lysate). A: JurKat. B: NT2D1. 7.5% SDS PAGE. TA308294 diluted at 1:1000.